A community that is surrounded by some of the best Hill Country views in San Antonio. The scenery feels like you're in the country, but you're only minutes away from The Shops at La Cantera and The Rim Shopping Center. The lot sizes in this gated community range from .5 to 1.5 acres. 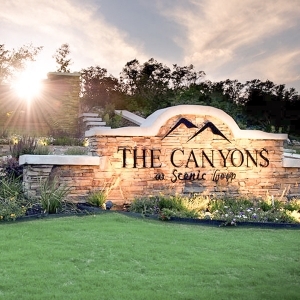 The Canyons is a great escape from the hectic pace of city life located in a sought after I-10 West corridor. This is a BUILD ON YOUR LOT neighborhood.